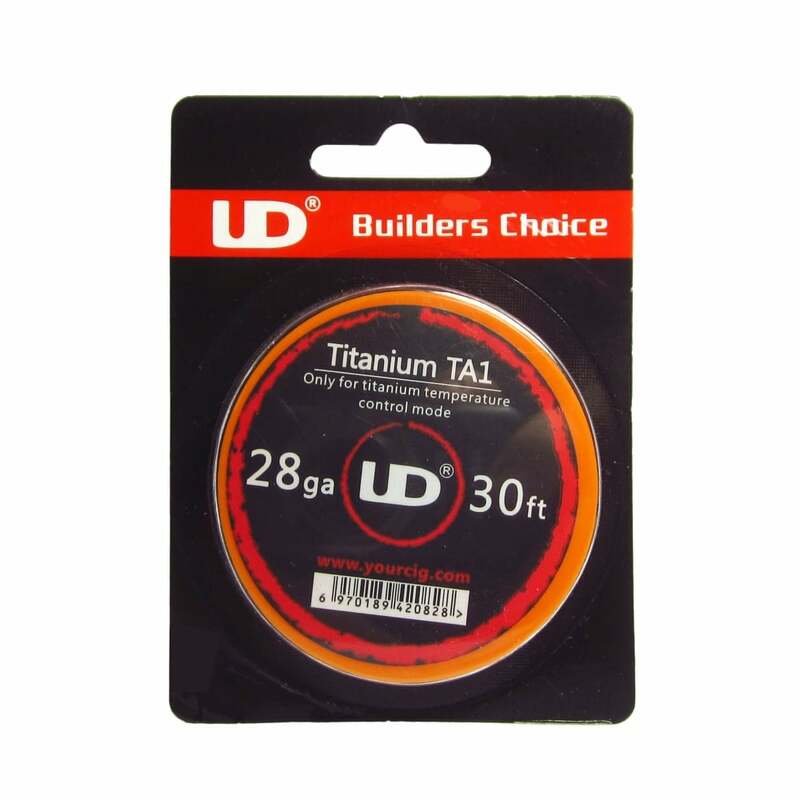 A popular alternative to Ni200 wire, UD's Titanium (TA1) can be used with temperature control box mods (check your device's manual for compatibility). For use with temperature control devices only. Vapers who like to have complete control over their vaping experience usually turn to building their own coils. To produce the massive amount of vapour that so many crave you basically need to heat as large a surface area of cotton as possible, this is why sub-ohm vaping is so popular. Lower resistance wires are thicker, which allows you to cover a larger area of cotton (wick). Wire thickness are measured in gauges ("ga" or "awg"). The lower the ga/awg number the thicker the wire (e.g 24 ga is thicker than 30 ga). Millimetre measurements are also provided to avoid confusion. Kanthal wire has long been the standard material for coils but with technological advances comes the use of different wire--including nickel (Ni200) which changes resistance when heated. This allows certain devices equipped with temperature control to only heat the coil to a certain temperature, which virtually eliminates dry hits. Atomizer building is not for beginners or intermediate users and one must know about electrical safety (especially Ohm's law) when building coils.